The parties agreed to open Real Madrid football school in Uzbekistan. 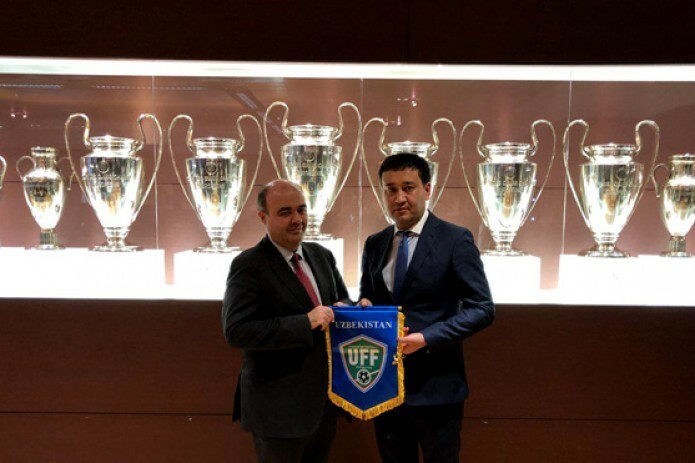 The President of the National Olympic Committee and the Football Federation of Uzbekistan Umid Ahmadjonov met with the Director of the Real Madrid Academy Julio Ronco. An agreement was also reached to attract coaches of Real Madrid in Uzbekistan. They will share their experience at the football school and work with the players. Скажите, пожалуйста, каким образом попасть на кастинг в эту школу?